Spanish lessons at all levels. Evening classes, daytime courses. 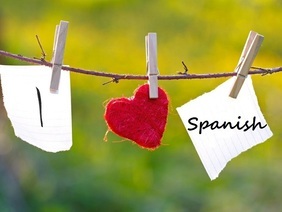 We offer Spanish lessons at all levels and all ages. There are several different ways to learn Spanish with us during the day and in the evenings. We also support those who want to sit Highers or Advanced Highers exams. Native and highly experienced tutor. Relaxing and fun atmosphere. Spanish Language Lessons Inverness. Daytime or evening lessons at all levels delivered by the best tutor of Spanish in The Highlands. Relaxing, fun and excellent results. Exam support for Higher and Advanced Higher Spanish. Highly experience tutor offers exam support for National 5, Higher and Advanced Higher Spanish. Other subjects are available delivered by specialist tutors. Spanish classes in Inverness and surrounding areas. You can speak Spanish and effectively communicate in a very short amount of time. Learning Spanish with a native and highly experienced tutor, teaching Spanish in the Highlands for more than 10 years. Speak good Spanish in a very short period of time. One of the most popular Spanish native tutors in the Highlands of Scotland offers Spanish lessons at all levels. Highly experienced and professionally delivered Spanish lessons for adults and Secondary school children. Spanish courses at all levels. Spanish lessons at different times during the day and in the evenings at all levels.